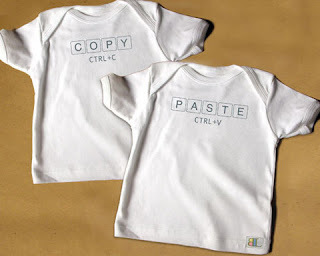 Found these adorable Copy and Paste onesies for twins on the coolmompicks blog. What a unique idea....and fun! I will have to remember this idea for the next set of twins to come along.